Siemens appliances, including dishwashers, have always been distinguished by quality and reliability. But, one way or another, all equipment fails and the moment comes when it is necessary to take appropriate measures to fix the problem. First check that the Siemens dishwasher is connected to the power supply network. The power cable may be damaged or the plug may be faulty. Also check the voltage in the network, and if there is water in the water supply system. Pay attention to the tap of cold water, perhaps it is simply closed and water cannot flow into the dishwasher. If the dishwasher still can’t be turned on, then carefully inspect the drain hose connected to the pipes and the dishwasher. It happens that the drain hose bends and does not allow water to flow into the equipment. Disconnect the drain hose and check for clogs. If you found any, then you can remove them by a powerful head of water. Check the condition of the gaskets so that there is no leakage. 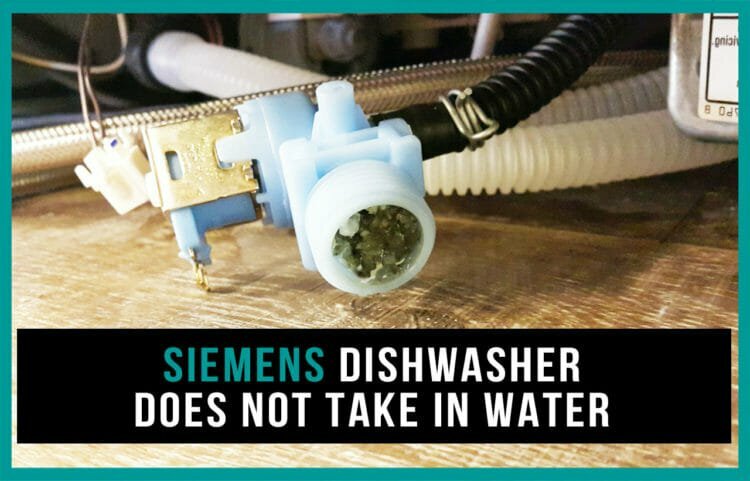 The Siemens dishwasher does not take in water due to the fact that the drain valve filter is clogged. Visually, it resembles a round mesh. Take the filter out of the valve and carefully wash it with water. If the dishwasher does not work, you may need to replace the drain valve which can be done only by a specialist. A possible cause of the malfunction may be a broken water supply valve. Check how well it performs its functions, or even check the built-in coils with a special measuring instrument – a tester. If the tester shows a short resistance, it means a valve coil with a short circuit. If the resistance is zero – most likely the coil has a break in the winding. If such signs are found, the valve should be replaced, but it should have the same coil with the same capacity.